Heavy duty 2mm thick 50mm x 50mm square mesh black knotted polypropylene cricket netting. Supplied with one piece to fit the outer wings and back and a separate roof net to the full length of the cage. 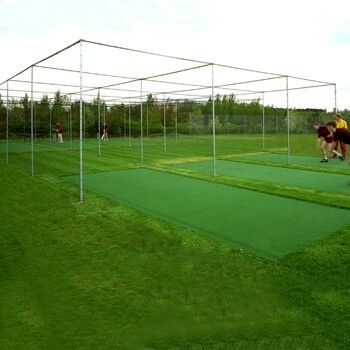 Any size of netting required can also be supplied. Please see standard cricket netting section.